While electricity shortage in urban areas is always under spotlight, the rural sector is the worst hit, and far more neglected despite the fact that irrigation is substantially dependent on power supply. According to the latest figures, agricultural electricity consumption is in a declining mode. The agriculture�s share in national electricity consumption has been tapering for the last three years. In 2010-11, this share was 13.36 per cent. In 2011-12, it slid to 12.82 per cent and in 2012-13, it went down further to 11.61 per cent. These figures have come at a time when almost all major crops need more water to mature and canal supplies are getting squeezed by the year because of silting up reservoirs. The BT cotton, which covers almost 90 per cent of national acreage, needs more water. Hybrid maize, the next fast emerging crop, matures in almost standing water and one does not have to argue about the water requirements of hybrid rice, which is also being cultivated on increasing areas. Despite the growing requirements, the electricity consumption is decreasing. Statistics on tubewells in Punjab also verify the water requirements of these new crops. The highest numbers of them exist in areas that are known for these three crops. Their highest number districts, known as cotton belt, are Lodharan (5,600), Vehari (7,600) and Pakpattan (8,000). Maize areas of central Punjab like Kasur (7,700) and Gujranwala Division � call it the Basmati belt � alone have 25,304 tubewells. None of these areas are known for cane crop, commonly taken as �water waster�. 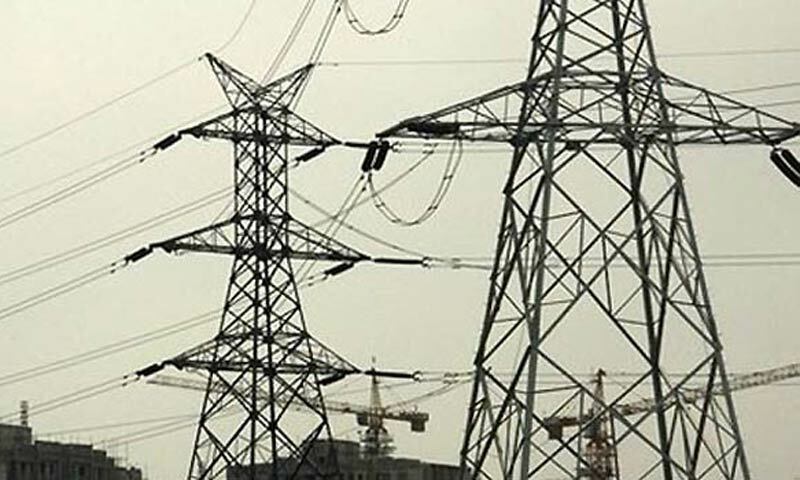 The electricity had been running only 10 per cent of 1.1 million tubewells in Punjab because they cost a fortune for installation, apart from the usual delay in connection. They also need independent transformers and dedicated cables � both costly proposition � besides escalating electricity rates. Even these 10 per cent tubewells are now shifting the energy mode and fast becoming expensive diesel guzzlers. According to farmers, they are shifting to diesel-driven machines because they can be relied upon unlike power-run tubewells, since electricity is hardly available. The farmers need electricity on 24-hours basis because they have to adjust irrigation timing as per availability of water-courses. Many small farmers fall on the same water-course that carries water to their crops; only one of them can water his fields at one time. This provides only a small irrigation window to each farmer for watering the crops. With power outages for hours on end in rural areas, such tubewells are fast losing their utility for farmers, despite being cost-efficient in comparison to diesel-driven ones. One hour of diesel irrigation in central Punjab costs Rs800 as compared to Rs400 on electricity. It only adds to the cost of production, which otherwise increases at 10 to 20 per cent every year depending on the rate of inflation, dollar-rupee parity and the taxation regime. Water price is now adding another layer of uncertainty in the crop production. Electricity shortage also adds to cost of production because these diesel-run machines are inefficient. Apart from general inefficiency of these apparatuses, they are mostly run on tractors that are much bigger machines than what is required to run small tubewells. A tubewell that needs only 20-horse power for functioning is operated on 50HP tractors � adding further to wastage of diesel and raising production cost. These statistics only underline the problems facing the sector and the urgency to address the issues. With fertiliser off-take, availability and prices uncertain, poor technology and almost non-existent research and development, the situation is increasingly bleak for the sector. Smaller crops, like masoor and mash, have already suffered a lot, and gradually disappearing from the national scene, adding to national import bill without being noticed. Against a national requirement of 50,000 tonnes, masoor production has dropped to 11,000 tonnes. Similarly, mash production has gone down to 10,000 tonnes against the 50,000-tonne demand. Gram production has fluctuated between 300,000 to 800,000 tonnes against national requirement of 700,000 tonnes. All these crops faced neglect, resulting in a decline in production and are now being imported. Now it seems to be turn of major crops. In Punjab, around one million acres have been used up for any crop that offers better returns for a particular season which disturbs all production plans, robbing national scheme of things of its certainty. One way to resolve the issue is through proper water management. Water has been and is going to be very sensitive issue for the sector, especially with climate change affecting its supplies. In this changing scenario, the government needs to work out strategies that bring water efficiency on the ground, save sub-soil aquifer and makes pumping it out cheaper if it wants agriculture to grow beyond a certain percentage. These statistics should not be lost on the planners because they precisely point out what ails the sector and also clues to put things back on track.